Ignite had the chance to speak with Grant Snider, president and CEO of Meeting Escrow Inc. and the current chair of the Business Events Industry Coalition of Canada (BEICC) which has recently rebranded as Meetings Mean Business Canada. Why is the BEICC partnering with Meetings Mean Business (MMB) in the US? The BEICC was formed in 2009 to be the voice of the business events industry in Canada in the wake of the global recession and other critical issues. Last year, as our board looked to next steps for the Coalition, we decided that reaching out to MMB in the US, with their successful advocacy model, would be the ideal strategy. The licensing agreement we have signed gives us full access to the MMB suite of digital assets, branding standards and best practices while retaining full control of our Canadian content, focus and advocacy approach. 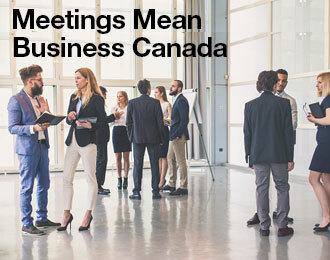 Meetings Mean Business Canada will enjoy the best of both worlds. We have had productive conversations with the Tourism Industry Association of Canada (TIAC) regarding the possibility of bringing MMB Canada under their advocacy “umbrella.” This would be a natural fit and would effectively broaden their conversation to include the $27 billion business events industry. As we continue those conversations, we will be updating our own website and actively engaging our audience through social media and other channels. But most importantly, we will be reaching out to key industry influencers (CEOs of DMOs, convention centres, hotel companies and national suppliers, etc.) across the country to identify a core group of “early adopters” who will champion the cause. 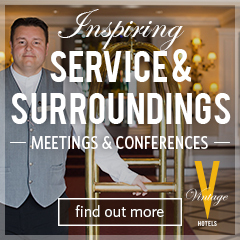 We hope to announce several early supporters at Global Meetings Industry Day on April 6th. 2017 is all about creating the platform to set up Meetings Mean Business Canada for success. Either we continue to work in our separate regions of the country, struggling to get the attention of elected officials for our respective causes or we can join together to create a single, united advocacy voice for the business events industry. MMB Canada will give our industry the scale and bandwidth that we need to communicate our message. Our work has just begun! All planners have a story or two about onsite event glitches, but usually there’s not a global audience of 20 million watching. At last Sunday’s Oscar Awards ceremonies, presenters Warren Beatty and Faye Dunaway announced the wrong recipient for the best picture award. Any planner must have shuddered at the colossal mix-up, but perhaps the silver lining to this story is the quick recovery of Jimmy Kimmel in his master of ceremonies role. He deftly got the night back on track and moving forward. A well-briefed and professional MC can deflect hiccups and pick up the pieces if things go wrong. Four new courses have been added to the Global Business Travel Association’s Global Leadership Professional program. A faculty member of the University of Virginia Darden School of Business will teach each course in different locations across the US. The courses will be offered in April, July, September and November. Travel professionals can participate in these courses for professional development or to earn credits for the Global Leadership Professional (GLP) Designation. The Association of Destination Management Executives International and MSA Security have developed a new certificate course for Emergency Preparedness. The course is over two days and covers the basics of emergency operations planning, with a focus on prevention, mitigation and recovery. Two different sessions are planned for 2017, one in Dallas, TX in March and Washington DC in July. Why go: It’s a whole week of celebration for the 20th anniversary of this event including: an opening party, education day, a trade show and an awards gala. Why go: Network, dine and celebrate the volunteer winners who contribute to the success of the MPI Toronto Chapter. Why go: MPI Greater Calgary Chapter and ISES Calgary have teamed up to deliver a day of education, networking and inspiration. Why go: The best and the brightest of Canada’s incentive industry gather to network and raise funds for education and charity. This event always sells out. Non-members can buy tickets after March 12th. 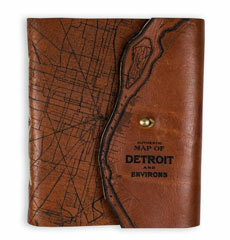 Where: In various cities across Canada, from coast-to-coast. Why go: Visit your local Canadian MPI Chapter website for the latest details on Global Meeting Industry Day activities and events. Why go: ACTE focuses on practical issues and innovation to help deliver greater results to your company through interactive, immersive learning, provocative discussion and networking. In this 12-month contract position for Honda in Markham, ON, you’ll provide support in the daily activities in the areas of corporate meeting planning and AV equipment support, including coordinating and providing support for meetings, monitoring and booking meeting rooms and ensuring that all events are handled with the highest level of accuracy while maintaining Honda’s image. A post-secondary education is preferred and three- to five-years’ experience as an event planner in a medium to large corporate environment is required. This position at Brewster Travel Canada will assist group event planners with corporate event bookings and reservations. You will complete operational documents, prepare group event quotations and contact suppliers to confirm services. You will also provide on-site assistance with group programs and events for set-up, event flow and tear down at the event conclusion. You will be working in a team environment, attention to detail and good writing skills are important. 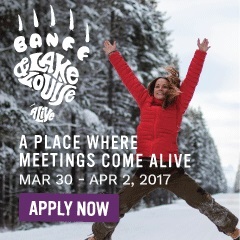 This position is based in Banff, AB.